CANBERRA, Australia — The Australian Parliament passed a contentious encryption bill on Thursday to require technology companies to provide law enforcement and security agencies with access to encrypted communications. Privacy advocates, technology companies and other businesses had strongly opposed the bill, but Prime Minister Scott Morrison’s government said it was needed to thwart criminals and terrorists who use encrypted messaging programs to communicate. “This ensures that our national security and law enforcement agencies have the modern tools they need, with appropriate authority and oversight, to access the encrypted conversations of those who seek to do us harm,” Attorney General Christian Porter said. Ms. O’Shea has written that the bill has global implications, arguing that the United States and other allies want Australia to “lead the charge” in giving security agencies access to encrypted data. “Once you’ve built the tools, it becomes very hard to argue that you can’t hand them over to the U.S. government, the U.K. — it becomes something they can all use,” Ms. O’Shea said on Thursday. She was referring to the English-speaking countries that share intelligence under the so-called Five Eyes agreement: Australia, Britain, Canada New Zealand and the United States. Rodger Shanahan, a research fellow at the Lowy Institute for International Policy, said the bill addressed a legitimate need to give the authorities access to encrypted data. Mr. Shanahan said he had been privy to many national security cases in which suspects used encrypted messaging services to communicate with people overseas. “They’re on WhatsApp and Telegram and Kik, that’s how they do it,” he said. Fergus Hanson of the Australian Security Policy Institute said that the bill had largely been framed as an antiterrorism measure, but it really had more to do with fighting crime on the state and federal levels. “I think the police forces are looking at this through the lens that it’s hard, much harder for them to get access to content now, and so they want to address the ‘going dark’ problem across the board,” he said. Australian tech companies have said that the bill could hurt their business overseas, because customers would doubt their promises to protect encrypted data. The industry has also argued that any “back door” that companies are required to create for law enforcement to access encrypted data would also be vulnerable to hacking. The Australian Information Industry Association, an advocacy group representing digital companies, said it had “no confidence” in the government as far as the bill was concerned. “The proposed powers are unprecedented, their remit unnecessarily broad, and the consequences of their use completely unknown,” said Kishwar Rahman, general manager of policy and advocacy for the group. The bill was nearly derailed on Thursday by an unrelated issue: Australia’s widely criticized offshore detention policy, under which migrants who try to reach the country by boat are held on remote islands and denied permission to settle in Australia. A few migrants who have been detained offshore for years have recently been allowed to enter Australia for medical treatment. Legislation debated Thursday, which Mr. Morrison opposed, would have allowed more migrants to do so. The reason a fight over refugees nearly stalled the unrelated encryption bill is a little complicated. 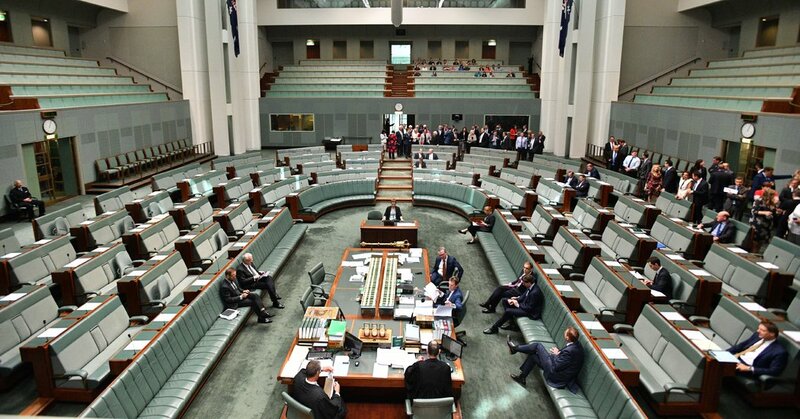 The encryption bill had passed the lower chamber of Parliament, the House, and was being debated in the Senate. Opposition senators wanted amendments that would have required sending it back to the House. But that would have also led to a vote on the migrant legislation, which almost certainly would have passed. Rather than allow that to happen, Mr. Morrison let the session in the House expire without a vote. Parliament will not reconvene until February. In the end, the opposition Labor Party dropped its amendments to the encryption bill, after the government promised to take them up in the new year. The opposition seemed to be swayed by the government’s argument that the bill was needed before the holidays, when terrorist attacks could be more likely. “I’m not willing to go home and see a terror event happen — which we’re told is less likely than more likely — but I’m not going to have on my conscience Morrison’s hostage-taking tactics where he cancels his own work, goes home and lets Australians swing in the breeze,” the Labor leader, Bill Shorten, told reporters late Thursday. Vicky Xiuzhong Xu contributed reporting.